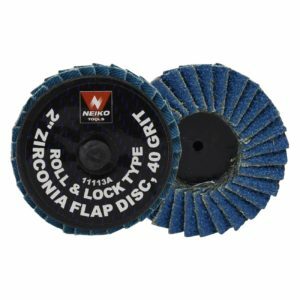 Neiko manufacturers excellent Blue Zirconia Roll & Lock Type Flap Discs. The quality can’t be beat, and like all of the Neiko products these are very reasonably priced! 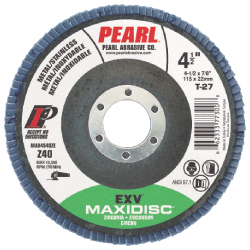 Pearl’s EXV™ Zirconia Maxidisc™ is an ideal combination of performance and value. 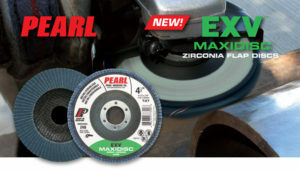 It is engineered with zirconia grains on a heavy duty coated abrasive cloth. 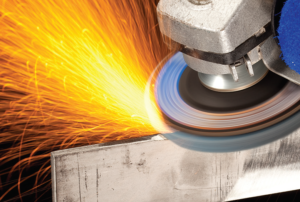 The EXV™ Maxidisc™ is designed for grinding, blending and finishing on a wide range of metal and stainless steel applications. 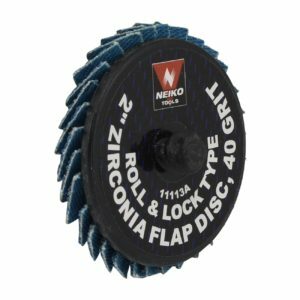 These flap wheels come in a lot of different sizes and configurations.